Catching a bus from Mammoth back to Red's Meadows meant a late start. 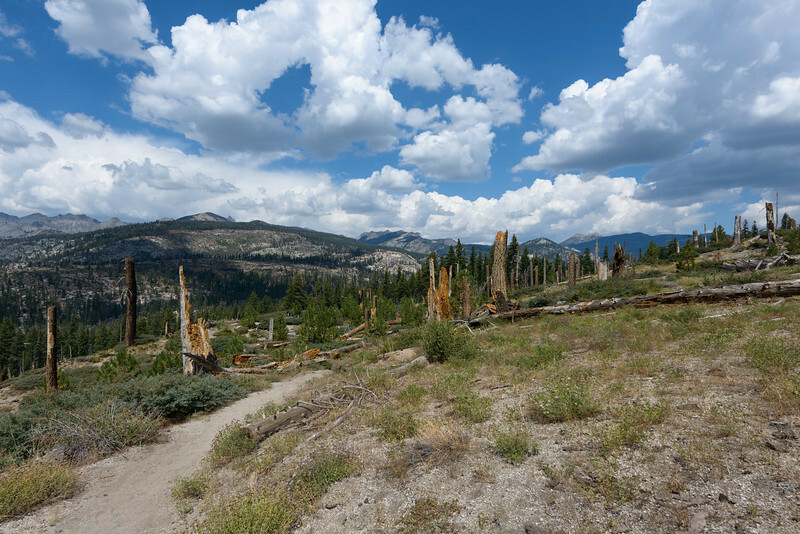 As the trail climbs away from Red's it passes through the remains of a forest fire. That coupled with last year's wind destruction left the landscape scarred but also showing signs of a rebound. Small trees, shrubs and grasses were bringing the forest back to life!